At Buick Dealerships, like Carl Black in beautiful Kennesaw, it is less about finding a machine on wheels that can get you from point A to point B and more about listening to your needs and unlocking your true potential. The right vehicle from the right dealership will become more than just a tool to help get the job done; it will become an extension of yourself. If your vehicle is fast, you’re fast, if your vehicle is strong, you’re strong, if your vehicle is smart, you’re smart, and if your vehicle is free, you are free. So, investing in a new Buick vehicle from a Buick dealership is investing in yourself. Becoming better isn’t easy, but it can be a lot easier if you have a reliable vehicle to help pave the way. The rush you get when you are behind the wheel is something deeply empowering, and that is why Buick vehicles from Buick dealerships are here to help break all your previous limitations. 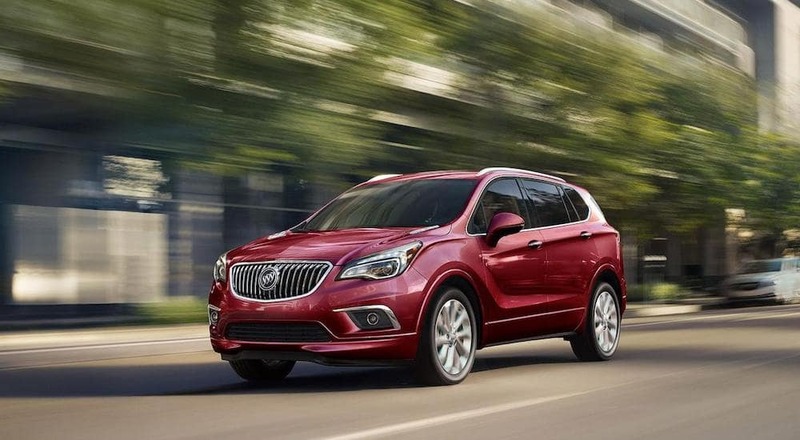 All Buick cars and SUVs offer you a sense of strength with their commanding and intelligent engine selections. With 4-cylinder, V6, and V8 engines all at your disposal, the power will always be in your hands. In addition to this, Buicks often have a sophisticated and aerodynamic design that makes driving them even more thrilling. With strength also comes control, and Buick vehicles are always fitted with the best equipment which give you almost complete control of the road around you. There is a power level for everyone and with a Buick there’s a model that matches or even goes beyond your expectations. Safety, entertainment, comfort, and performance have all been improved and made more intelligent through the progression of automotive technology. Nearly every vehicle over the past few generations has implemented some form of infotainment system that aids in entertainment and connectivity; Buick vehicles are no exception. Drivers can use this Buick infotainment system to connect instantly to their smartphone in order to make hands-free calls, access real-time maps, and play your favorite music. There is also an optional built-in Wi-Fi hotspot that allows you to connect to the vast information highway for a limited number of devices. Buick vehicles are not simply muscular machines, they also have some serious brains these days. And two brains are better than one, especially when it comes to the smarter safety features being implemented. Safety technology has become all about building awareness with sensors available in the front, rear, and sides of every vehicle at the Buick dealership. Advanced active safety features such as forward collision alert, rear park assist, rear cross traffic alerts, lane keep assist, and lane departure assist, are all ways a modern Buick can keep you aware of your surroundings and let you react with plenty of time. That being said there are still plenty of passive features such as headlights and mirrors that increase visibility as well as a strong airbag system in case the unpreventable occurs. Your eyes are limited, but in a Buick it will be like having the vision of an owl that can see 360 degrees, day or night, the protection of a turtle within its shell, and speed that is faster than a cheetah. 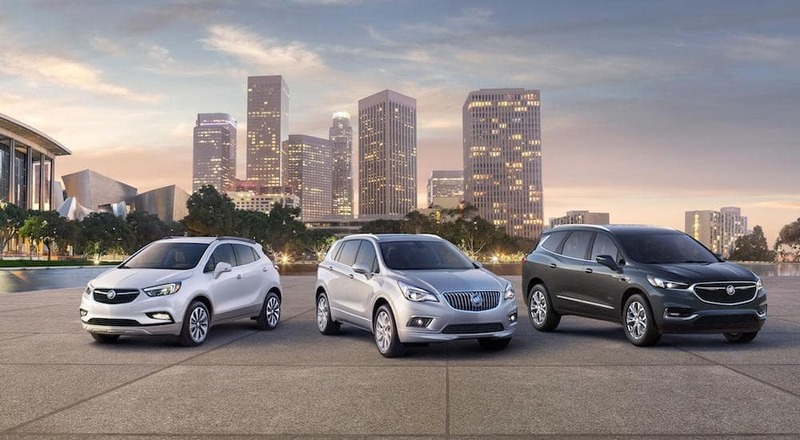 Especially when it comes to the SUV lineup, Buick vehicles offer a substantial amount of efficiency when it comes to space. This space is often flexible enough to allow drivers the freedom to switch between passenger space and cargo space. Whether you need that space to pack gear for the next big adventure, or you just want to be sure your daily duties go as smoothly as possible, a Buick vehicle is ready and willing to provide without exception. A vehicle can impact your life in a number of ways, but the best by far is that feeling of being free to live your life without restrictions. This is the heart of why drivers even bother to get a personal vehicle. Being able to go where you want, when you want is so essential to the human experience that without it we become stagnant, miserable, and unhealthy in both a mental and physical way. The world clearly has a lot to offer like wide open ranges, luscious forests, soothing oceans, and big cities that are just begging to be explored. So when you invest in your next Buick, try to think about all the brilliant places it can take you. Towing: 1,016 to 1,018 lbs. Towing: 1,164 to 1,318 lbs. Do you want personalized care that allows you to set the pace and make all the rules? Do you enjoy dealers that you can trust to always be transparent about the information they give and the prices they can offer? Do you want to go to an automotive dealership that respects your time and offers a number of resources to keep the process simple and efficient? Do you feel a dealership should be more like a community that respects loyalty? Then congratulations, because we at Carl Black Kennesaw are all of that and more. We listen carefully to exactly what you are looking for in an automotive and in your automotive service as a whole. Connecting a vehicle with a driver brings us satisfaction, and we know the best way to do that is by showing respect by being transparent and showing our resourcefulness by guiding the way. So next time you are ready to take the next step in the car buying process, allow us at Carl Black Kennesaw to help you by making it as simple and personalized as possible.